The mountainous Khyber Pakhtunkhwa in northwestern Pakistan has been victim of deforestation in recent years. The air just got a little bit cleaner in Khyber Pakhtunkhwa in northwestern Pakistan, a province known for hosting the major city of Peshawar. The area, which borders Afghanistan, recently gained the addition of an amazing one billion trees which were planted over a period of two years. The planting happened as part of an international mission to restore hundreds of thousands of acres of degraded natural landscapes. The mission, which had been dubbed by the head of Pakistan's Tehreek-e-Insaf government Imran Khan as "Billion Tree Tsunami", has stayed true to its name. In addition, the trees have actually been planted well ahead of their deadline, which was not expected to be completed until December of 2017. The achievements of Pakistan have been recognized by the International Union for Conservation of Nature (IUCN) for being part of the "Bonn Challenge". The Bonn Challenge aims to restore hundreds of thousands of acres of forests around the world, many of which have faced drastic deforestation in recent years. Pakistan is the first country to complete a challenge, although so far more than 20 countries have agreed to take part. Government officials are hopefully that the restoration of the forests of Pakistan will help to halt some of the detrimental effects of climate change. 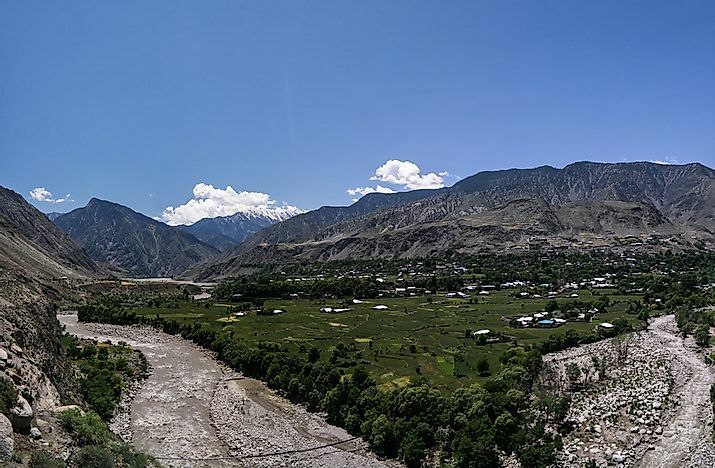 Pakistan, with its mountainous landscape, is home to a number of glaciers which have been threatened by the risk of melting due to climate change. As trees remove the CO2 from the air and replace it with oxygen, they will hopefully create a more favorable condition for the glaciers. The planting of the trees in Pakistan has been a resounding success on all levels, including environmentally (for obvious reasons), socially (instills pride and encourages positive environmental activity) and economically (jobs have been created in the region). It stands as an example of the measures that must be taken to reserve the harm that has already been done to the environment.